Hello today i bring to blog this recipe easy to do and delicious. This time i will give picture step by step. You can serve warm with vanilla ice cream or cold with cream. Happy new year folks. star anise, 1 spoon brown sugar, 1 spoon cinnamon powder the port. Put on high for 2 hours. go around and cut excess. With fork make marks on pastry to let puff pastry cook easier and sprinkle caster sugar and cinnamon powder. For the top i use beer cap washed to do small holes and measure tin and cut around with cutter. When you got apple on the slow cooker done ( after 2 hours and a bit cooler) , put inside and cover with this top. Seal every gap around the tin with puff pastry and beat egg and bush the top and final for touch sprinkle with caster sugar and cinnamon powder. Pre heated oven 180 C for 25 minutes. 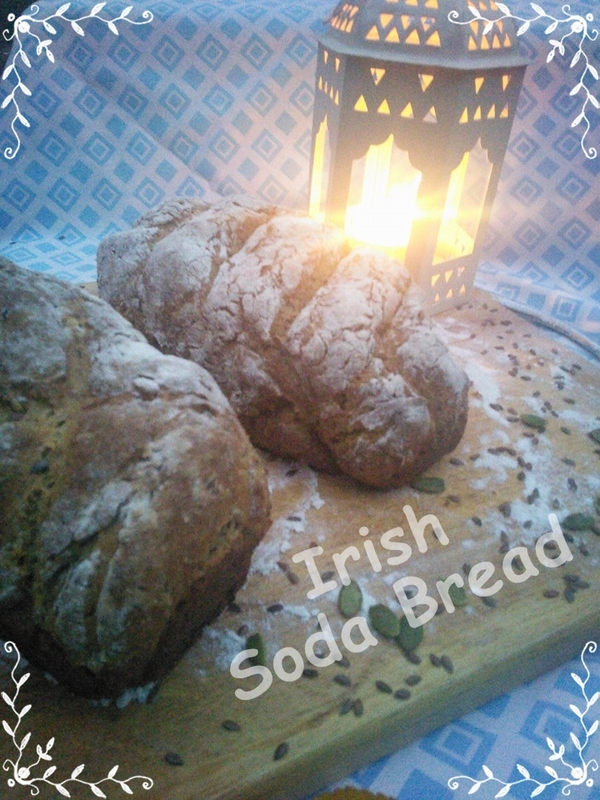 Hi , today i bring to blog this delicious irish soda bread homemade , i live here you can see every corner but i decide do it at home , this ideia came from Rapa Tachos and blog Segredos Mimi . It was delicious i found myself do it , well cooking this bread over and over again . Its simple , delicious and this time of year with fire on and mug hot chocolate and mashmallows hmm , divine . I use two tins 9 inch loaf and divide for two , well buttered . i use pumpkin seeds , leenseeds, sesame seeds, sun flower seeds. Place on a well-buttered, 8-inch pie pan and cut a cross along the top. Original Recipe : Finest baker in Ireland, North or South. Hello everyone, i hope you all have great week . 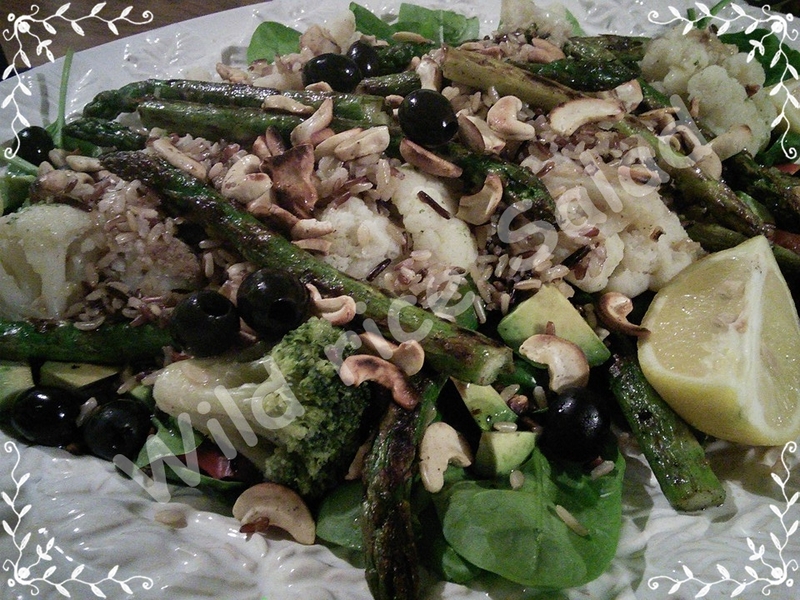 Today i bring to blog a Monday Salad , simple and delicious and low calolrie. To start for the wild rice to cook in water and salt, it takes about 20/25 minutes and pretty hard, as you drain all water and set aside. Wash all the vegetables, cut the radishes and broccoli. Let steaming the broccoli when you’re ready set aside. Get spinach and cover the bottom of the board, for all vegetables as you like, wrap rice with broccoli for the spinach on top. Toast in the pan nuts and uses them in order to decorate. Grilling the aspargus for 5 minutes and are ready, mix with other vegetables. For the dressing using olive oil, balsamic vinegar and lemon. Hello everyone, i hope you all have great week , with good things . 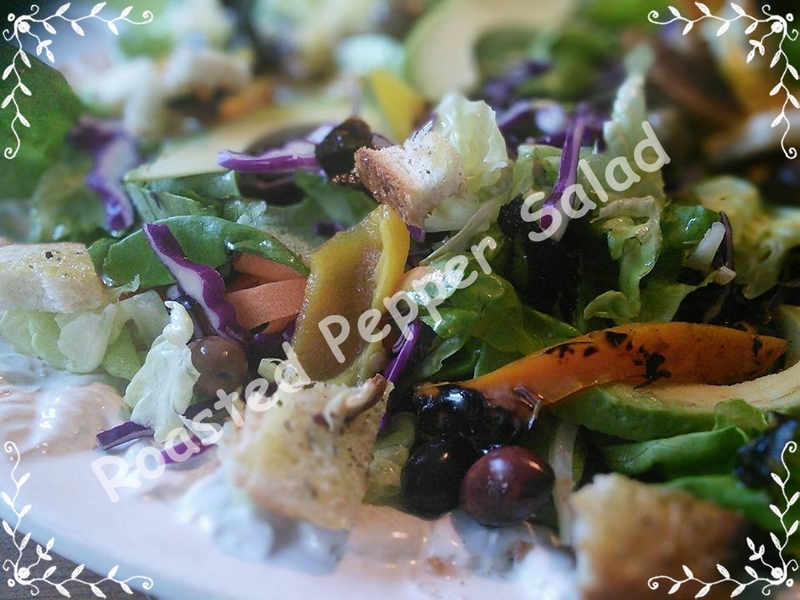 Today i bring to blog a Monday Salad , simple and delicious and low calolrie . All ingredients can be found in market , please always choose fresh , taste better . I hope you like it. Let’s start by peppers on the grill until they are well baked, than set aside let be cold. In Mortar add chillie, garlic clove and juice of lime, salt, knead all make a creamy paste, then with every passing sieve paste and set aside. Wash lettuce, cut it, wash it and cut red cabbage, carrots too, avocado too long but thin strips. In a hot pan toastar bread, I used Italian ciabatta, sprinkle with olive oil and oregano, cut into cubes and set aside. Let’s take all ingredients and mix it with a forceps with prepared mortar, 2 tablespoons olive oil and peppers cut into strips, season with salt to taste.